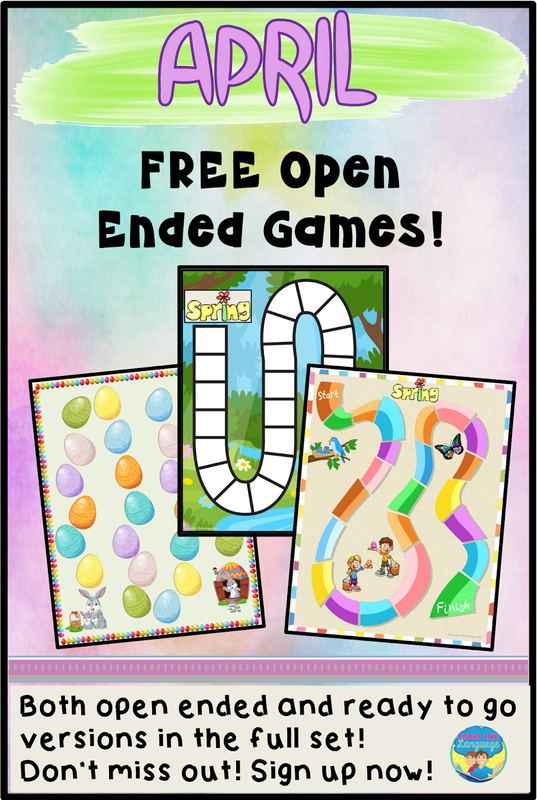 Spring Open Ended Game Board Freebie! Spring is a wonderful time of year! After a bleak winter, the world comes alive again and it seems that our lives do, also. After hunkering down in winter, there are always so many things to do outside in spring, even if you aren't a gardener. 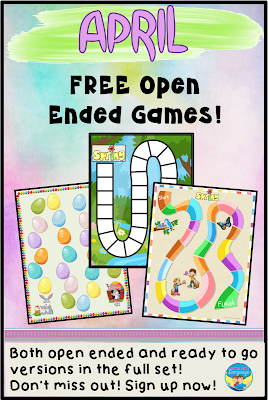 Some colorful, open-ended, printable spring game boards can make your speech therapy sessions a bit brighter. You can also send them home as homework. Just print the lower ink version, write your target words on the page and make as many photocopies as you need. Kids would much rather see a game than a list of words and this also makes it easier for the parents to include siblings. Parents, you can use these, too! 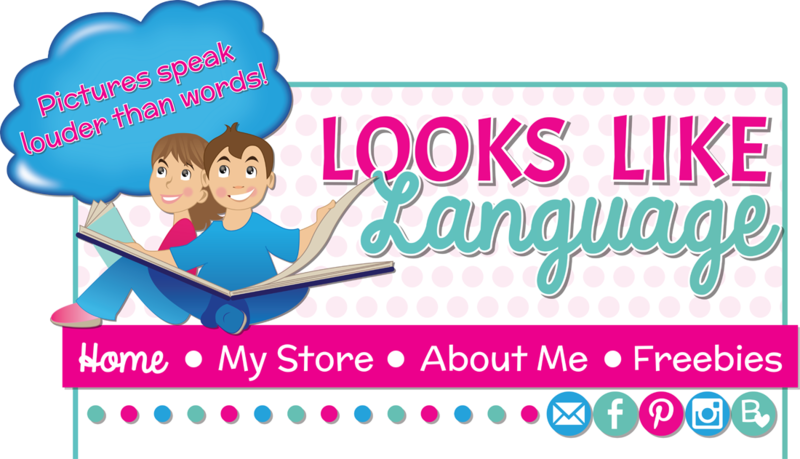 * Play a game to practice your child's spelling words or multiplication tables. What do we do if there is a fire? Name 1 way to be polite at the table. What do we say when we get a gift we don't like? What will happen if we don't take a bath? brush our teeth? 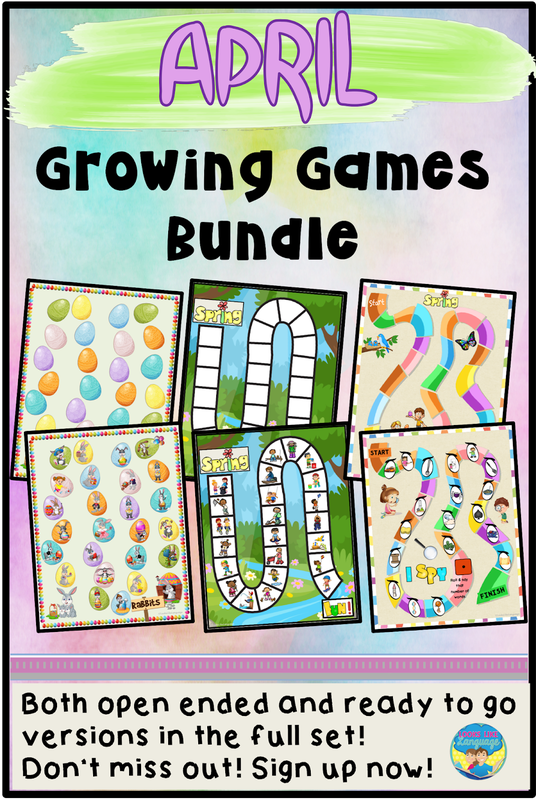 * Use the games as a countdown to a treat for following the rules, doing chores, completing homework, etc. Every day that your child does what is expected, draw a star or let them write their names on the game section. When they get to the finish line, they have earned the reward you wrote on the finish line. Be creative! 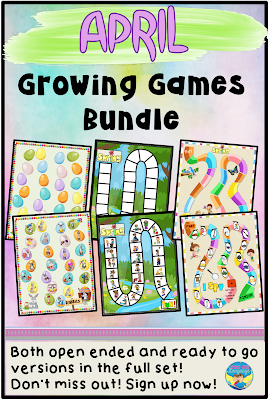 Please comment if you have found a fun way to use these! Are you curious about what you would get if you sign up for my newsletter? This picture shows the filled in sets. And if you love these freebies, be sure to pin this picture to let your friends know about it! What's New at My Store!